In between it’s narrow Golden Age canals and leaning gabled homes is a quirky culture whose open mind has been at the center of many controversial opinions throughout the past decades; Amsterdam, Netherlands is one of the most traveled destinations in all of Europe not only for its easy-to-see culture, but also a dark history and the plethora of places to visit in Amsterdam. As you look over one of the city’s many canals, you’ll see people who are not only the European face of open-mindedness but also a city that tells a story of wit and innovation — one that is particularly exciting to see as a visitor. 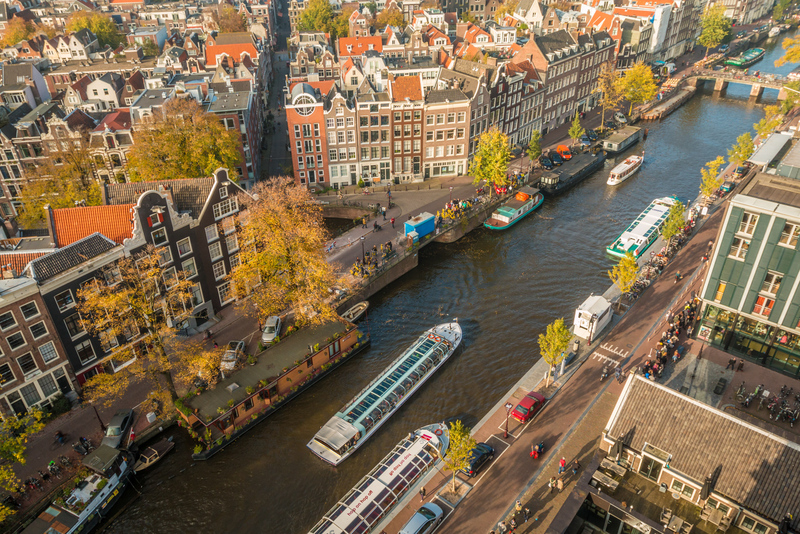 Whether it’s the attitude of Amsterdammers or the beauty of the canals; there’s an Amsterdam itinerary that’s right for everyone. There’s even more to Amsterdam than the openness and dark history, however. Its nightlife and plethora of day trips make Amsterdam a haven for backpackers of all kind. Take a stroll across one of the many places to visit in Amsterdam like the parks within the city or rent a bike and cruise the canals. Everything from the alternative cafes to the rapidly increasing green initiative within the city; there’s something that will hold the interest of all Amsterdam tourists and give you things to do in Amsterdam to keep you coming back for more! There are plenty of places to visit in Amsterdam Old Town. I’ve backpacked around over half of Europe in the span of three years, and I still believe the science behind the structure of the city, the overall uniqueness of its architecture, and the friendliness of its people makes Amsterdam one of the top European backpacking destination. The best advice I can give is to make sure you rent a bike and explore the city the same way the locals do — just stay out of the bike lanes as a pedestrian! The locals will be sure to make you aware of the fact that those are for bikers only. I found many things to do in Amsterdam along the canals. The Netherlands is a country geographically placed in the northern part of Europe. It borders its German neighbors to the northwest and falls northeast of the other Dutch-speaking country in Europe; Belgium. To the north is the mystic North Sea and the United Kingdom sits across that. It is, truly, very well-located for any American tourist backpacking through Europe routes. Its policies and scandalous reputation make it one of the most recognizable tourist destinations on the planet and is only a matter of hours from some of the largest European cities such as Paris, Berlin, and London. Amsterdam can be easily reached by using the European Interrail system or many affordable flights and buses from anywhere in the country. Now, all you need to do is prepare for your trip! There are plenty of things to do in Amsterdam that can keep you busy for as long as you want to stay. 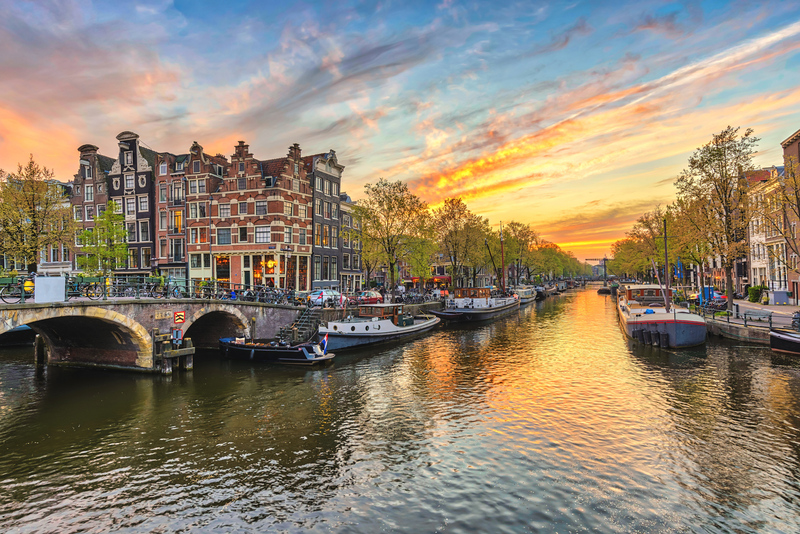 You can see Amsterdam in a day or stay for a whole week – that’s part of the reason Amsterdam makes an excellent stop on anyone’s ‘Euro Trip’. 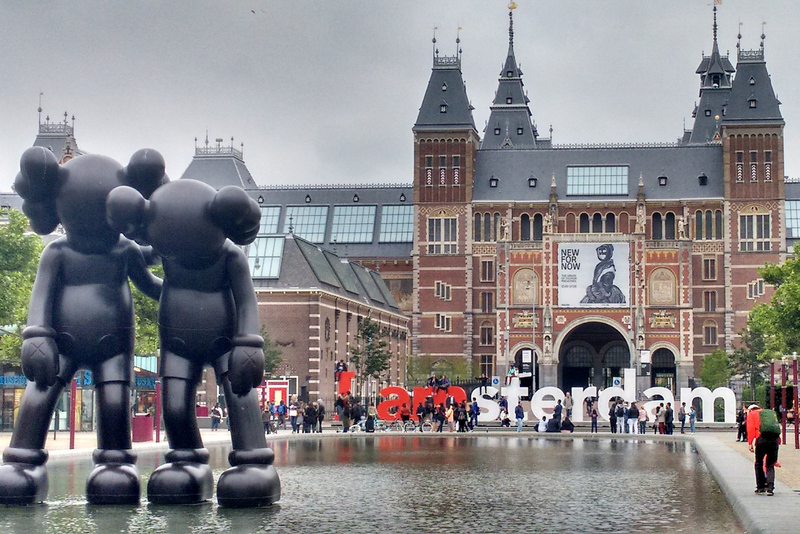 Rijksmuseum – The Rijksmuseum is Amsterdam’s most visited museum. Take a stroll through its 80+ galleries and its over 8,000 pieces of Dutch art and history. It’s one of the top places to visit in Amsterdam and features work from Rembrandt among other famous artists from the Golden Age. Anne Frank House – Packed with loads of artifacts and history from the World War II era, this house is also one of the top places to visit in Amsterdam. Learn about Anne Frank as you walk through the home her and her family hid from Nazis for years. Van Gogh Museum – One of the most famed places to visit in Amsterdam, take a look around this famous artist’s largest collection of masterpieces. The Jordaan – This district in the center of Amsterdam is known for its nice houses, beautiful restaurants, and a multitude of places to visit in Amsterdam that pertain to shopping. Jordaan District is full of places to see in Amsterdam. Vondelpark – Vondelpark is the largest city park in Amsterdam and certainly the most famous throughout the country. I found this place excellent for a picnic and people-watching on a sunny day. It is one of the best places to visit in Amsterdam. Centraal Station – Conveniently located in the center of all of the action, this impressively beautiful building is a hub for everything buzzing in Amsterdam. It’s also where you have to go to catch a train to many Amsterdam day trips. Any Amsterdam itinerary will lead you here. Centraal Station is a top Amsterdam attraction. Heineken Experience – Of course, the famous Amsterdam beer in its own Amsterdam castle. As one of the most interactive brewery experiences in existence, you’re sure to love this place as one of the top places to visit in Amsterdam. 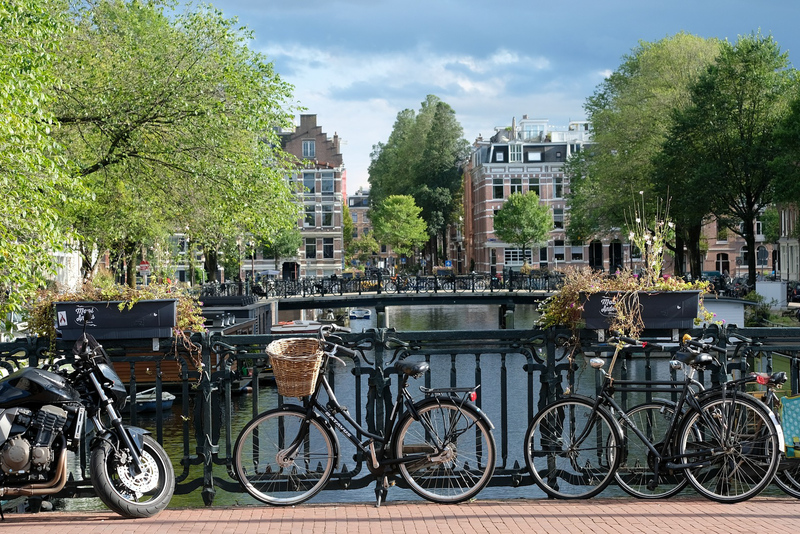 Bike Tour – Your Amsterdam experience would not be complete without a cruise around the canals by bike. Whether you’re taking a tour or just renting a bike for a self-guided day around the city, you must see what it’s like to bike around this notoriously biker-friendly city. It should be a part of any Amsterdam itinerary. Skip the Amsterdam walking tour. . . take a bike! Dam Square – The main square of Amsterdam and an excellent place to spend an afternoon. Watch the gobs of tourists flock to the square or listen to the handfuls of excellent street performers within the square. The sheer amount of people here make it one of the top places to visit in Amsterdam. Red Light District – The place you’ve probably heard about before, the Red Light District is the most infamous area in the entire city. Known for its scandalous history and present day ideals, this is where all of the action happens in Amsterdam and will give you plenty of things to do in Amsterdam. Just a short half-hour journey from Amsterdam’s Centraal Station is one of the country’s most traditional cities. Utrecht popped up on my travel radar years after Amsterdam, but I soon started seeing pictures of the place all over the internet. That is because it is one of Holland’s up-and-coming spots for visitors to stop. You can spend a day in this city and still have more to see, however, most visitors come from Amsterdam as I did on a day trip. One of the popular Amsterdam day trips to Utrecht. The round trip ride to Utrecht costs no more than $20 and serves as an excellent way to experience the Dutch culture without the Amsterdam crowds. I wandered the streets endlessly without direction until I got myself lost. 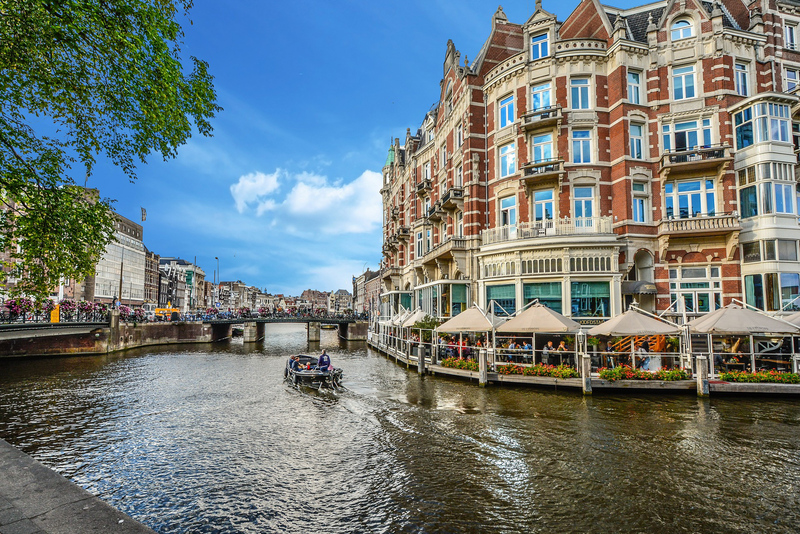 Similar to Amsterdam with its leaning architecture and canal-centered layout, you could spend hours walking along the narrow-allied streets without having to worry about the millions of people crowding the streets. I didn’t ride a bicycle here, however, now that I think about it, it’s the perfect place to get the bike-riding experience in the Netherlands without the pressure of the traffic in the much larger city of Amsterdam. Utrecht is a quiet university city with plenty of traditional food stops and shopping opportunities. Along the canals, you’ll see locals hanging out, picnicking, and enjoying their day as they normally do. It isn’t long before the rest of the Amsterdam tourists catch drift of this unique city similar to Amsterdam in every way and soon tourism will fill the city just like it’s big brother to the north. Make sure you get there before it’s too late. Don’t skip it in your Amsterdam itinerary! A bitterballen is the center of the Dutch traditional cuisine. They are small, battered and deep-fried meatballs served with a bitter mustard.They’re great to compliment a Belgian beer. A raw herring, although a bit intimidating sounding, are convenient to eat and are sold at carts all around the city. It’s fish served in a small sandwich with pickles and onions. The specialty is known to be best between May and July when the herring is sweetest. 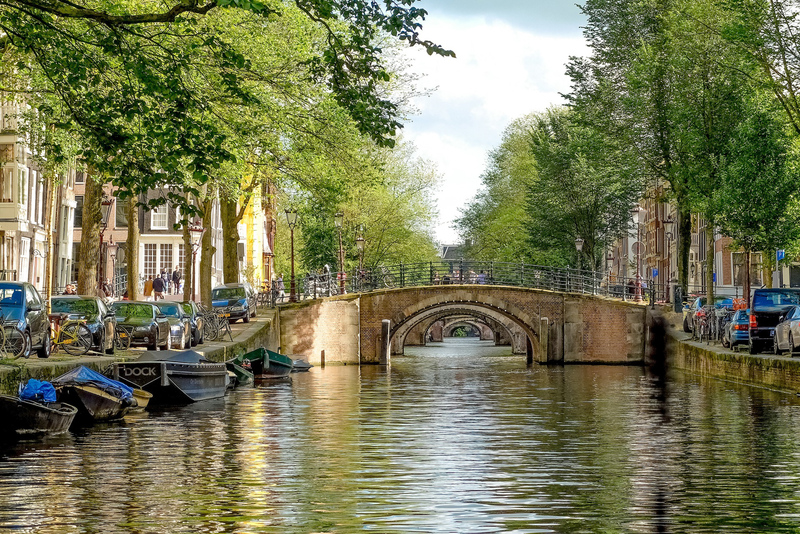 There are many places to visit in Amsterdam along the famed canals. Cheese, cheese, cheese! They take their cheese seriously in Amsterdam and in the Netherlands as a whole. Visit the Kaas shops to taste-test some of the finest Gouda, Geitenkaas, or Maasdammer cheese you’ve ever had. Stroopwafel is the sweetest thing in Amsterdam! A couple of thin waffles complimented with sweet syrup — you can barely go wrong with this one! Not to mention it’ll only run you $3-$4. Amsterdam is a great place to travel year round. The often overcast-ed city remains cool in the summertime when travelers flock to the city. There’s also an excellent Amsterdam Christmas market come winter time. However, my favorite time to visit Holland is early spring. 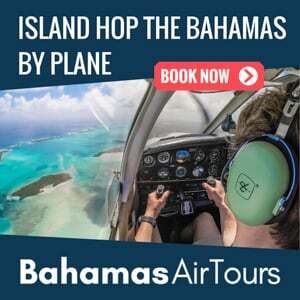 Particularly in late March and early April when there are less tourists, lower prices (in the traveling ‘off-season’), and less heat than the summer months. You’ll find the best places to visit in Amsterdam in the spring time. Ideally, to maximize your time, try to stay near city center. 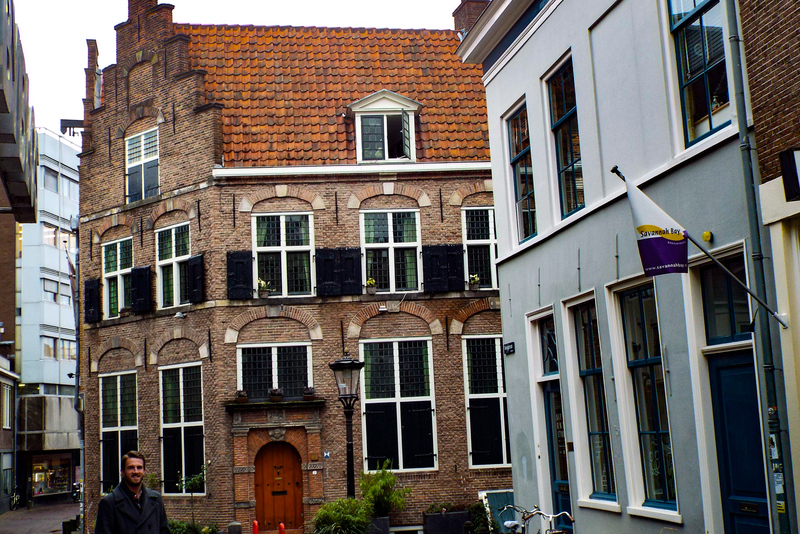 However, as summer months can be very busy around the city (especially if you don’t book your accommodation in advance), I found another great neighborhood to stay in is the Jordaan District area. It is a pedestrian haven (as a lot of Amsterdam is) with lots of interesting places to visit in Amsterdam and less touristy than the Red Light District. Plus, it’s just a thirty minute walk to the Red Light District along beautiful canals and leaning homes. There are plenty of places to visit in Amsterdam scattered throughout the city so no matter where you are, you’re never too far from something. I used Uber in Amsterdam multiple times and found it to be the best way to get to places to visit in Amsterdam that may be off the beaten path. It’s not difficult to find a ride and is actually fairly common. If Uber in Amsterdam is out of your budget, the city has a top-notch public transportation system. For most visiting Amsterdam, a Single Ride Ticket or a 24-Hour Ticket will suffice, but there are other options available like a Week Long Pass or the I Amsterdam Card which will give you a few discounts on various Amsterdam tourist attractions. Personally, I saw it fit to purchase an I Amsterdam Card at the beginning of my stay in the city. With it, you’ll receive unlimited use of public transport and discounts to museums, among many other benefits like a free canal cruise. There are so many underrated places to visit in Amsterdam Old Town. You can purchase a ticket directly from the metro driver when hopping on or find passes at tourist stores all over city center or right when you arrive at the Schiphol Airport. If you are arriving by train at the Amsterdam Centraal Train Station, which I highly recommend, you’ll already be in the center of all the action upon arrival. It is a twenty-minute ride by train to Schiphol Airport from city center. A traditional dinner near Amsterdam old town will cost you nothing out of the ordinary; $12-$14 will usually cover a delicious traditional entrée. I recommend the Restaurant De Kas for an unforgettable night of Heineken beers and traditional Dutch dishes. A beer in the heart of Amsterdam isn’t exactly cheap, but it also won’t break your budget. You can drink as many pints of Heineken as you’d like for around $4 per. And we all know a Heneiken is a part of every Amsterdam itinerary. A Frite stand (french fries) in the middle of Amsterdam city center will cost you about $5 for a nice budget lunch. The price is even a little lower as you get further out from city center. One must consider these thick-cut traditional fries as a part of their Amsterdam itinerary. Public transport is fairly inexpensive in Amsterdam when compared to other cities more regularly on a backpacking itinerary. It costs around $2 for a regular ride on I Amsterdam Public Transport. Alternatively, you can pay $9 and get a pass that will give you unlimited rides from Amsterdam Public Transport for a day around all of the places to visit in Amsterdam. The pass is not a bad idea for days you’ll be moving around in the city often through all of the places to see in Amsterdam. From Amsterdam’s main airport (Schiphol International) directly to the city center, you can call an UberX for less than $40 – or an Uber Van for the whole family under $65. Those prices are slightly more than in your average city but will take you to all of the things to do in Amsterdam. 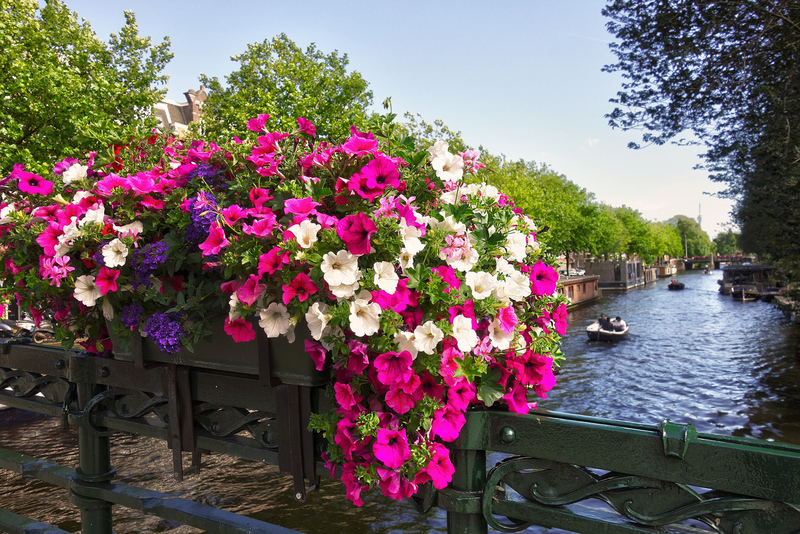 An all-inclusive I Amsterdam Card is the ideal offer to see this city in its entirety. The card is available for 24, 48, or 72 hours. It’s one of my top Amsterdam travel tips. Other Amsterdam travel blog will tell you the same. It’s perfect for your Amsterdam itinerary 2 days. Amsterdam has a very wide and unique AirBnB selection. 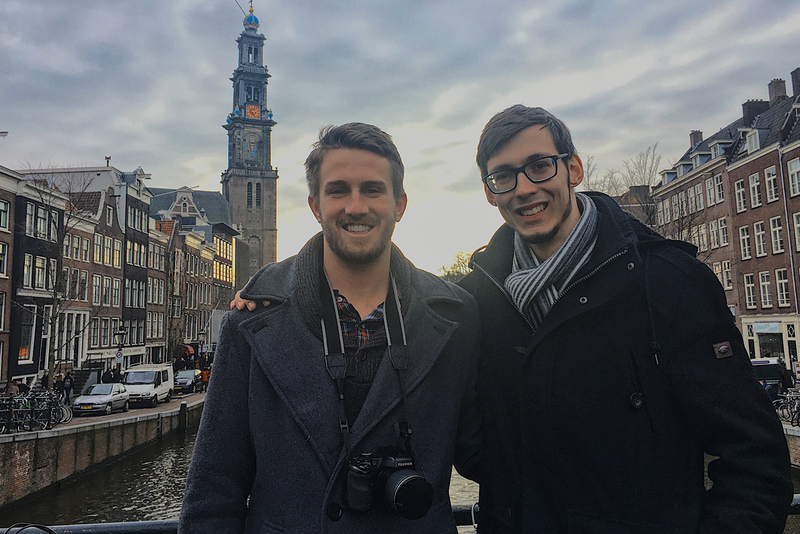 Generally speaking, you can usually find an entire apartment in Amsterdam for anywhere from $50-$110 on a nightly basis depending on where you are in the city. For an individual room, one person can normally find a bed for less than $40 per night. 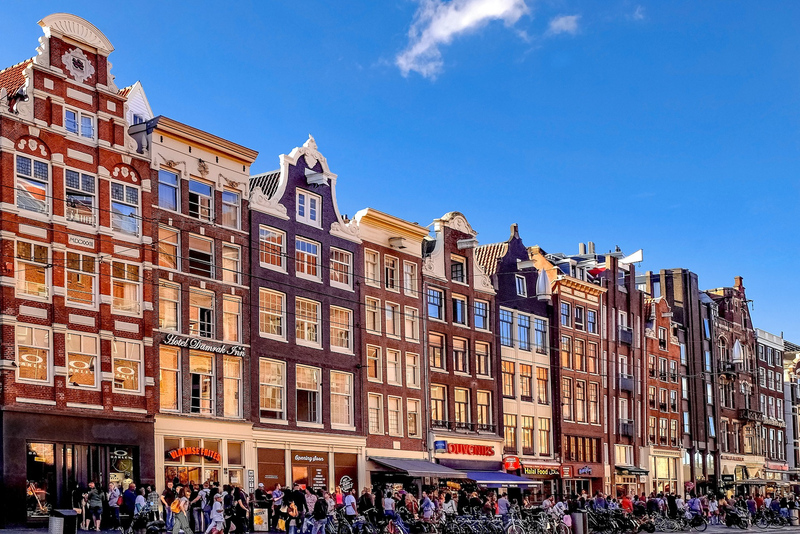 However, if you journey outside of the heart of the city looking to do Amsterdam on a budget, prices drop dramatically and you can find a bed for as cheap as $25. People from the Netherlands are Dutch speakers with their own dialect. 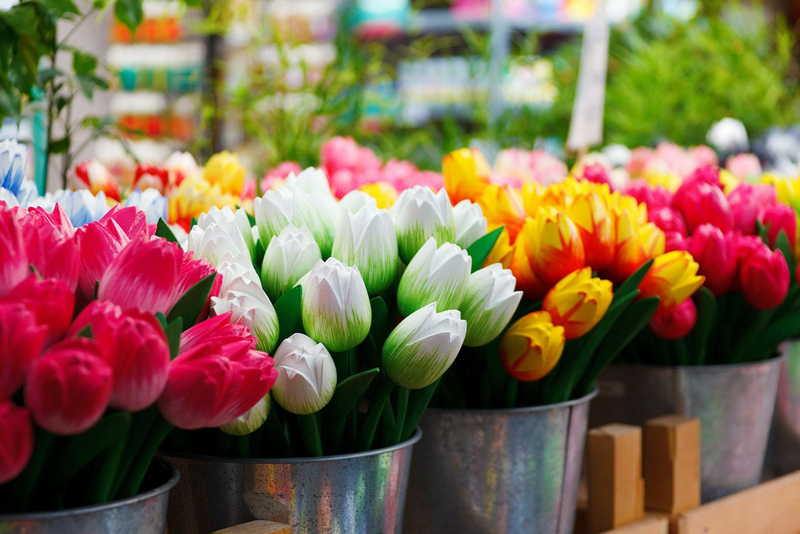 Check out this basic Dutch language guide before you go! However, overall, everyone can speak pretty clear English in this region of Europe. Amsterdam – or Holland, in general – is a country a part of the European Union – which means Americans are granted 90-days in a 180-day period to travel freely throughout the E.U. This means if you plan to be in Europe for longer than three months, you should take a look at this. There are a lot of stereotypes that Americans have adopted over time. There are, also, a lot of stereotypes we have made about Europeans that just aren’t true. For example, not all of the Dutch are friends into drugs! In Holland, tipping is common. A 5% tip is an acceptable amount as waiters tend to make a higher salary in the Netherlands. Be careful that gratuity isn’t already included on your bill! One of the top places to visit in Amsterdam. Amsterdam left a very inviting impression on me and I will certainly be back in the future. 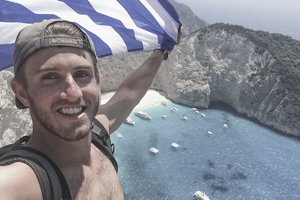 If you want to find out more about how to travel Europe on a budget, and all that it has to offer, click on over to our Europe travel blog page dedicated to tips for backpacking Europe! 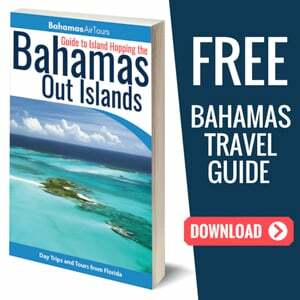 You will find these to be informative, giving you excellent insight into planning a trip through this multi-cultural continent. To celebrate our European City Guide series by Adam, we’ve teamed up with GPSmycity to giveaway an annual premium subscription to 10 lucky readers! GPSmycity has guided city walking tours and I was able to test drive their app around Rotterdam last month. 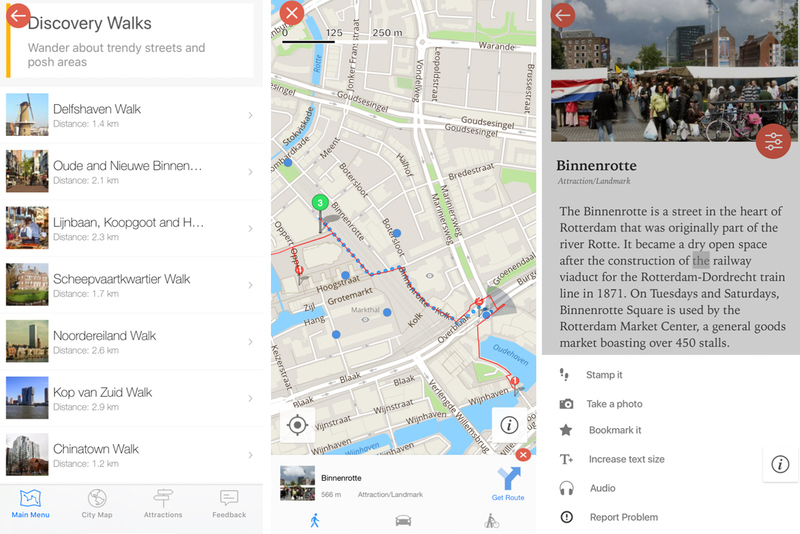 It provides offline maps, a huge choice of different walks (top sights, cultural or by district etc.) and fun features such as audio commentary. Never get lost again!! To enter: Leave us a short comment below or email [email protected] with your top European city destination and why you love it or want to go there [maximum 50 words]. I’ll choose the top 10 most interesting entries and incase of a tie, draw the winners at random. Entries close 31st August.